A few PAYE tips and links. Online filing for end of year PAYE is now compulsory for most businesses. Includes monthly, quarterly and annual payments of PAYE, NICs and Student loans and under RTI. Pays back the employee’s actual costs. For dispensations from P11D reporting years up to 2015/16, see PAYE dispensations. Notifying a monthly or quarterly "nil" PAYE/NICs liability? You can now do it online providing that you have your Accounts Office reference. Register as an agent ahead of the year-end rush. 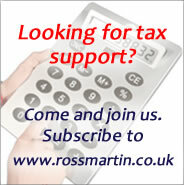 Clients should complete form FB12 to authorise a tax representative to use PAYE / CIS online services and not form 64-8. How to undertake a PAYE & NICs review for a company.